Not too long ago, the Razer Turret – which was unveiled back at CES 2015 – was finally available for purchase. Now, we found out that the lapboard and mouse combo is now shipping to Malaysia, and it costs a hefty RM849 – it only retails at US$160 (about RM625) in the US. 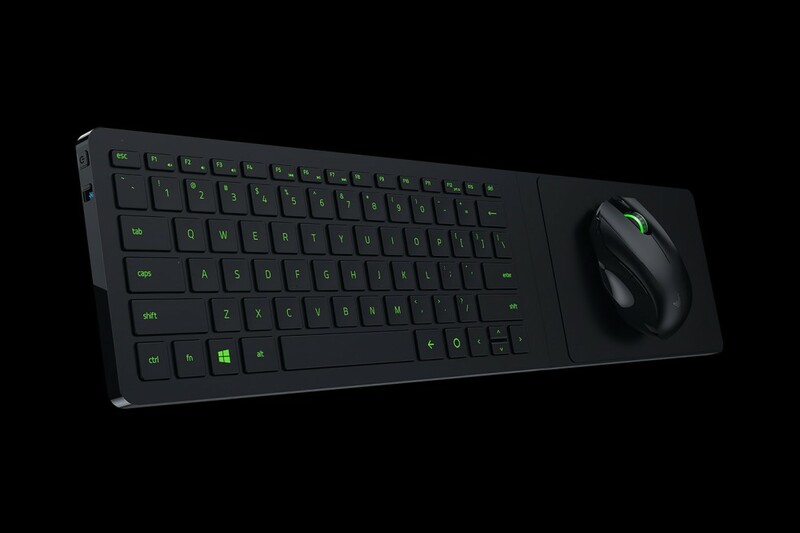 While the Razer Turret costs considerably more in Malaysia, those who are looking for a lapboard and mouse combo for their living room may be willing to fork out that kind of money. 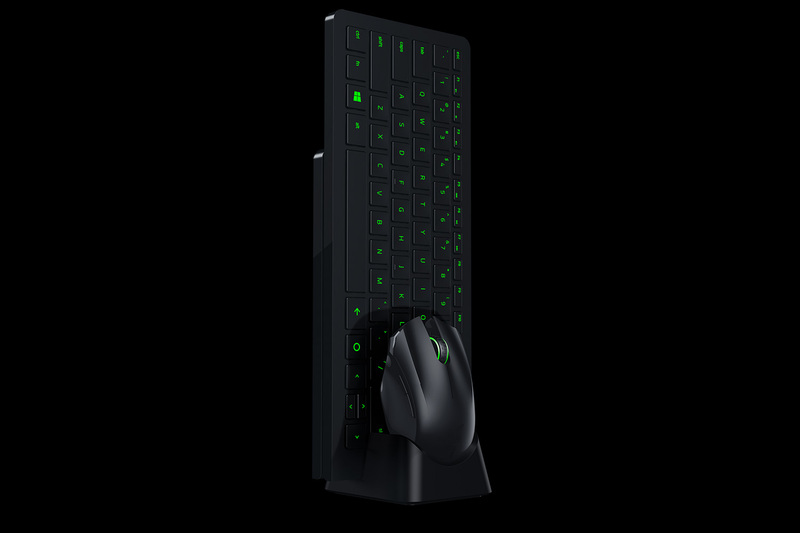 After all, Razer touts the Turret as the perfect product for gaming in your living room, although we imagine it wouldn’t be very comfortable to game with a keyboard and a mouse on your lap for too long. What makes the Razer Turret particularly unique is the hinge on the right side of the lapboard, which acts as a mousepad for the 3500dpi wireless mouse. It’s no ordinary mousepad either: it’s actually magnetised to ensure that the mouse wouldn’t fall off. We can’t help but to wonder how strong the magnetic pull really is, and whether or not it will interfere with the mouse’s tracking. 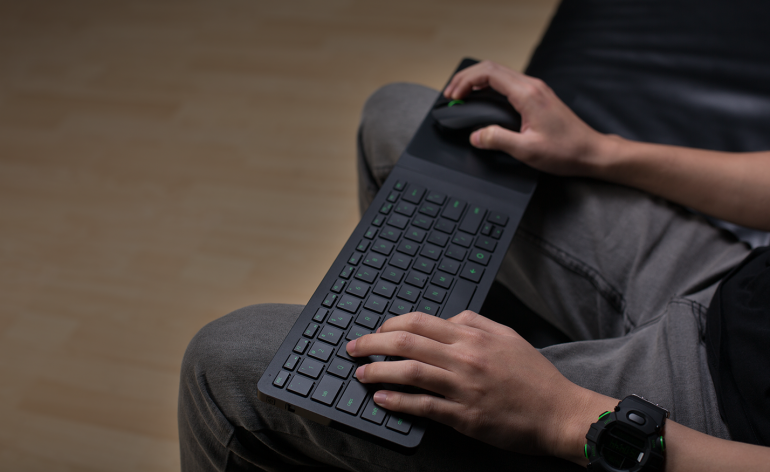 Aside from the wireless mouse (which can supposedly last up to 40 hours on a single charge), the lapboard has chiclet keycaps and battery life of up to four months. It also has anti-ghosting for up to 10 keys: users can hit up to 10 keys at the same time and the lapboard will register all of them, which is pretty neat. 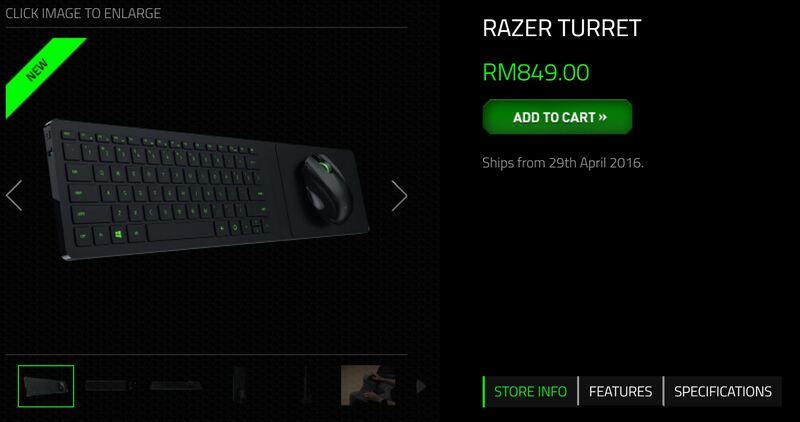 According to the Razer Turret’s product page on Razer Malaysia’s online store, it will start shipping to consumers today. If you’re keen to know more about the product, you can do so here.